Local Directions: From jct I-90 (exit 309) & US 191: Go 1/4 mi E on Frontage Road. 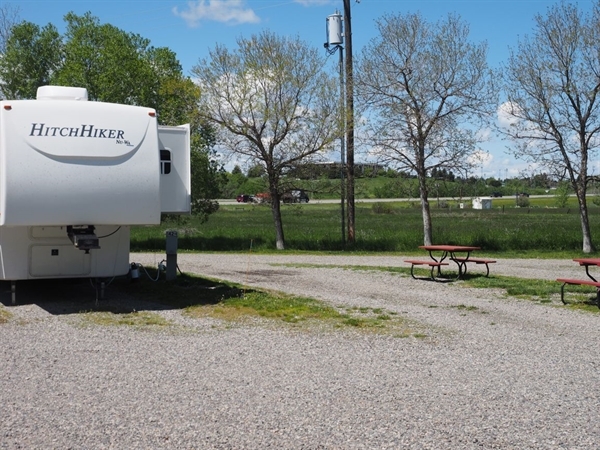 Run by Marty and Maryjo Stanek, this campground offers spacious back-in and pull-through, level full-hookup sites and decent Wi-Fi. Both shaded and satellite-friendly open sites are available as is a spacious unfenced dog-walking area. 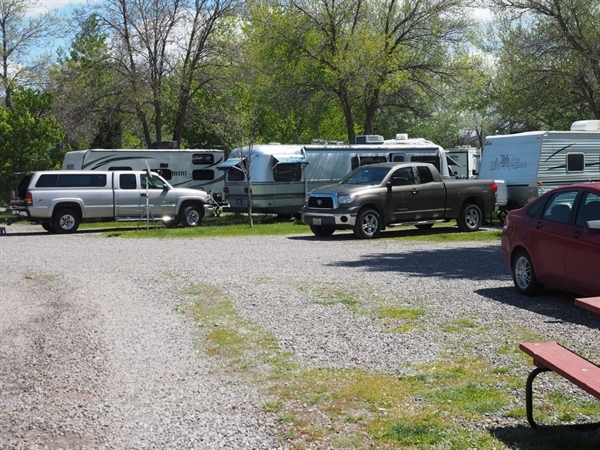 Arriving campers are escorted to their sites which is especially helpful for first-timers. There is no cable TV, but several HD TV channels are available via a rooftop antenna. Propane is for sale here by the gallon. When I called several days in advance to book a site, I was both surprised and delighted to have someone answer the phone at 8 PM. Later when I needed to change my reservation to arrive a day earlier, my request could not have been handled more courteously. 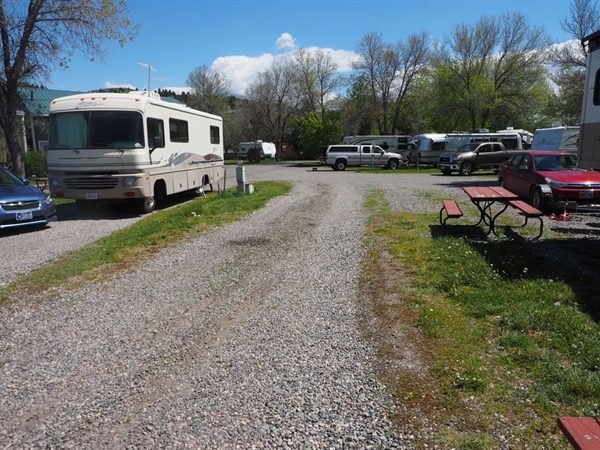 This campground is convenient to I-90, Wal-Mart, restaurants and downtown but its close proximity to the Interstate highway and train tracks means that both combine to make this a noisy location. We slept well and enjoyed our stay, but if traffic and train whistles keep you awake, you might want to give it some consideration. Another local campground wanted to charge me extra for my wife, my dog and my car in tow, which I found a total turn-off. The rates here were reasonable, owners were friendly and accommodating, all hookups worked flawlessly, so we will stay here again if we return to Bozeman.